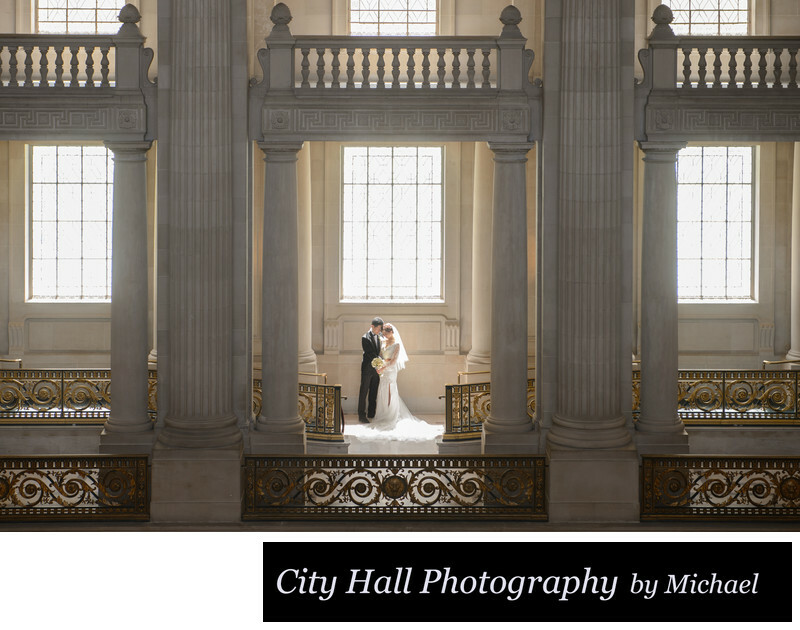 We really enjoyed photographing this city hall couple during a very sunny day. The sun streaming in through the windows allowed us to make photos like the one above. Natural back lighting gave the bride's dress a dramatic glow.